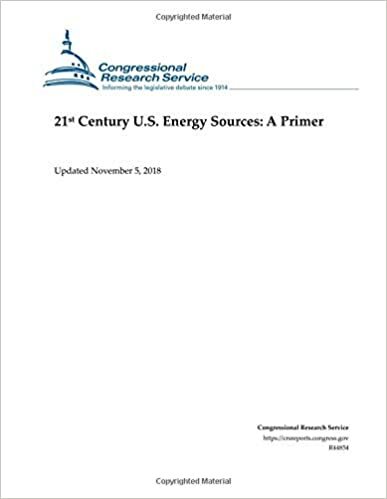 Since the start of the 21st century, the U.S. energy system has seen tremendous changes. Technological advances in energy production have driven changes in energy consumption, and the United States has moved from being a growing net importer of most forms of energy to a declining importer—and possibly a net exporter in the near future. The United States remains the second largest producer and consumer of energy in the world, behind China. The U.S. oil and natural gas industry has gone through a “renaissance” of production. Technological improvements in hydraulic fracturing and horizontal drilling have unlocked enormous oil and natural gas resources from unconventional formations, such as shale. Oil has surpassed levels of production not seen since the 1970s. Natural gas has set new production records almost every year since 2000. In conjunction with the rise in oil and natural gas production, U.S. production of natural gas liquids has also increased. The rise in production of these fuel sources has also corresponded with increased consumption and exports of each. The rise in U.S. oil and natural gas production has taken place mostly onshore and on nonfederal lands. Crude oil production from nonfederal land has doubled over the past decade. While production on federal land has increased, it has not grown as fast as oil production on nonfederal land, causing the federal land share of total U.S. crude oil production to fall from its peak of nearly 36% in 2009 to about 24% in 2017. U.S. natural gas production shifted even more dramatically, with total U.S. dry production growing 33% since 2008, while gross withdrawals on federal lands declined by almost 32% over the same time period. The federal land share of total gross withdrawals decreased from 25% in 2008 to 13% in 2017. The electric power industry is transforming. Growth in demand for electricity has essentially been flat for many years, and the amount of new power generation capacity needed has declined each year in many parts of the country. The projections for future demand growth in most regions of the United States are declining. Natural gas edged out coal to become the primary electric generation fuel in 2016 and the growth in wind and solar energy has shown little sign of abating. The electricity infrastructure of the United States is aging. Uncertainty exists about how to modernize the grid and what technologies and fuels will be used to produce electricity in the future. Unresolved questions about transmission and reliability of the grid are arising due to potential cybersecurity threats and continuing interest in renewable energy and other low carbon sources of electricity. Concerns about reliability and electricity prices are complicated by environmental regulations, the intermittent nature of wind and solar power, and the rising availability of natural gas for electric power production. Renewables production and consumption have increased since 2000. As a source of total primary energy, renewable energy increased 80% between 2000 and 2017. Unlike some other energy commodities (e.g., crude oil), renewable energy is available in a variety of distinct forms that use different conversion technologies to produce usable energy products (e.g., electricity, heat, and liquid fuels). Therefore, it is important to distinguish between renewable fuel sources and uses. The United States has the largest coal resources in the world. Coal is used primarily for electricity generation. Although its prices have stayed low, coal has faced increasing competition from natural gas and renewables. U.S. coal consumption peaked in 2007 and has since declined by 39%. Coal currently supplies approximately 30% of electricity generation. Nuclear-generated electricity output has stayed flat during the same time period, and faces significant challenges as a future source of electric power generation.